Definition at line 589 of file CREResourcesWindow.cpp. Definition at line 474 of file CREResourcesWindow.cpp. Definition at line 903 of file CREResourcesWindow.cpp. 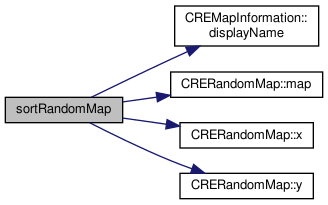 References CREMapInformation::displayName(), CRERandomMap::map(), CRERandomMap::x(), and CRERandomMap::y().